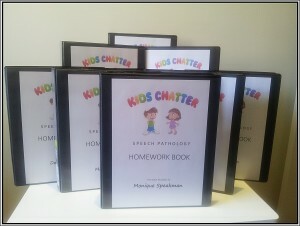 Kids Chatter Speech Pathology provides individual therapy sessions with children to achieve goals specifically developed for them. No two therapy programs are alike or delivered in exactly the same way. We design our therapy programs with your child’s strengths and needs in mind so they get the most out of each session. Therapy sessions are typically weekly or fortnightly, depending on your child’s needs and your family’s time and budget. 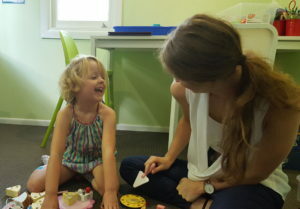 We make each therapy session fun, so children enjoy themselves while learning a new skill. 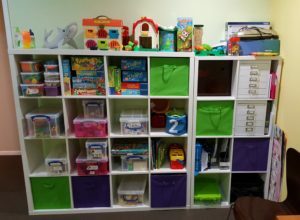 Depending on your child’s needs and age, this can include activities with toys, games, paper-based activities, iPad apps and more. (If there’s a particular toy or activity your child enjoys, let us know and we’ll try to incorporate it into our therapy sessions.) Children can bring their own beloved toys, however they often prefer the shiny new ones we provide. When your child starts therapy, they’ll receive a special Kids Chatter Homework Folder they get to keep. At the end of each session your speech pathologist will give your child activities to practise at home, which helps them consolidate what they worked on in the therapy session and progress more quickly. And don’t worry. All the homework instructions will be written down for you and placed in the folder, along with any relevant handouts or exercises to practise at home.